Photo | Staffers racing & cheering on one another. Experience rehabilitation as it should be with our award winning Physical Therapy provided by Physical Therapists. Hour long appointments, care plans designed around your goals, and an integrated care team treating the whole person. We redefine what's possible in healthcare. Locations | Physical Therapy clinic in Lynnwood & Fremont, Seattle. Recover, restore, and improve your body's performance through outcome-based Massage Therapy. Our Licensed Massage Therapists are clinicians who evaluate your needs and provide the right treatment at the right time. Whether you're an athlete, a parent, or have an injury, Massage Therapy will help you move and perform pain free. Locations | Massage Therapy clinic in Lynnwood & Fremont, Seattle. Experience nutrition based on whole foods, supported by science, and sustainable for a lifetime. 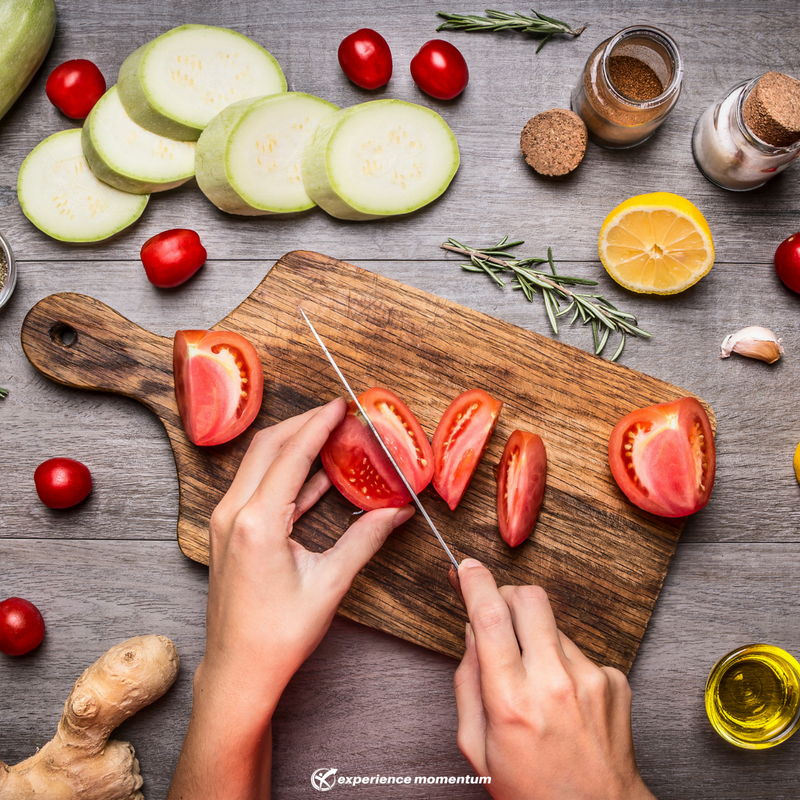 Knowing what to eat is complex, but with the education, support, and strategy of our Registered Dietitian Nutritionists you will be empowered to live the life you choose. This is why we help you #fuelyourawesome. Locations | Registered Dietitian Nutritionist in Lynnwood & Fremont, Seattle. Physical Therapist backed, Experience Momentum's CrossFit gym is about safely taking your fitness to a new level. You will be compassionately challenged. You will be supported to do things you never thought possible. And, you will have the time of your life. Welcome to CrossFit, and get ready to #RedefineWhatsPossible! 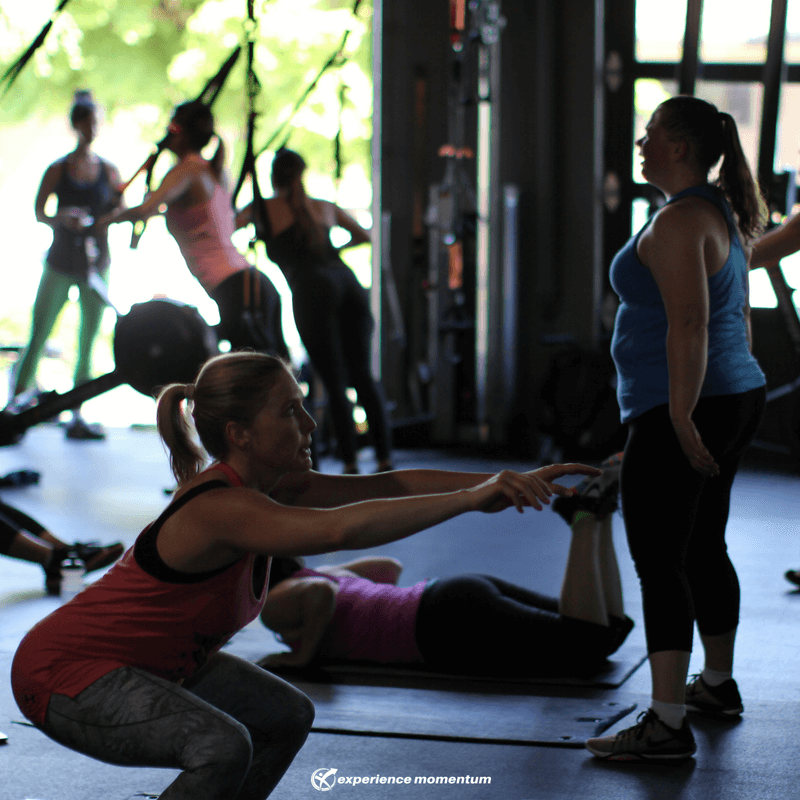 Locations | CrossFit in Lynnwood & Fremont, Seattle. Physical Therapist backed, Experience Momentum Fitness will hit your beat every time. With your choice of HIIT style Bootcamp classes, beat based Cycle classes, strength training for runners RunStrong class, Yoga for non-yogi's, and a host of rotating specialty classes, your fitness will soar. All classes are supported by an empowering community that fills you up everytime! Locations | Fitness Classes in Lynnwood & Fremont, Seattle. Supported by Physical Therapists and Registered Dietitian Nutritionists, our Personal Trainers will create and implement training plans that are usually reserved for the pros. We offer personal training tailored to your body's needs and built to achieve your health and fitness goals. Experience Momentum's Personal Training will launch you to new levels. Locations | Personal Training in Lynnwood & Fremont, Seattle. Clean air, food, and water enables the movement our Doctors of Physical Therapy and Massage Therapists restore, the use of and relationship with food our Registered Dietitians counsel, and the fitness our Coaches preach. A sustainable environment is the keystone to our existence, which is why Experience Momentum has dedicated our company to actively promote lifestyle choices and actions supporting a healthy tomorrow. With nearly $100,000 donated locally, regionally, and globally to improve the condition of this planet, we are a proud sponsor of Planet Earth. As a 1% for the Planet company, we commit one percent of our pre-tax revenue to impact the sustainability of our earth and community for generations to come. This means 1% of every dollar spent at Experience Momentum directly funds the improvement of our planet. Photo | Experience Momentum CEO in the Central Cascade Mountain Range. We have a mission, a set of core values, and a business plan. This means nothing unless we are held accountable to what we say we do and who we say we are. In 2018, Experience Momentum went through an external auditing process to become one of 2,200 companies worldwide who qualify as a B Corp.
As a certified Benefit Corporation, better known as a B Corporation, we have joined a community of businesses like Patagonia Clothing Company, Athleta, Ben & Jerry’s Ice Cream, and Warby Parker to take a lead in sustainable business practices benefiting our local communities and environment. Sign-Up for our Newsletter to get more of this! Who we are, who we wish to become, and how we choose to get there. We are not afraid to discuss the realities and challenges that come with taking on life. Our blog is designed to be a source of education, support, empowerment, and connection enabling you to become your best you. We will post new posts via social media and our newsletter. Love yourself and the journey and get ready to #RedefineWhatsPossible. Photo | Experience Momentum Staffer hiking through the Enchantments.